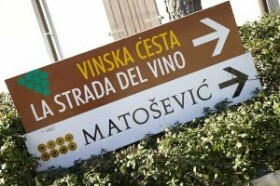 Editor’s Note: With this report, Robert Parker’s influential “Wine Advocate” journal has published its first-ever review of a selection of wines from Croatia. The report and subsequent scores were written and posted by Neal Martin of www.wine-journal.comand www.erobertparker.com and are reprinted here with permission. 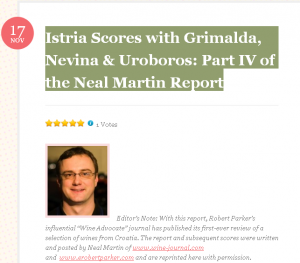 In Part IV of his report, we present Mr. Martin’s reviews and scores (based on a 100-point scale) of wines from the Istria region of northwest Croatia, which Mr. Martin tasted in May 2010. The opinions and reviews contained herein are purely Mr. Martin’s work and are subject to copyright and may not be republished elsewhere without permission of the author.